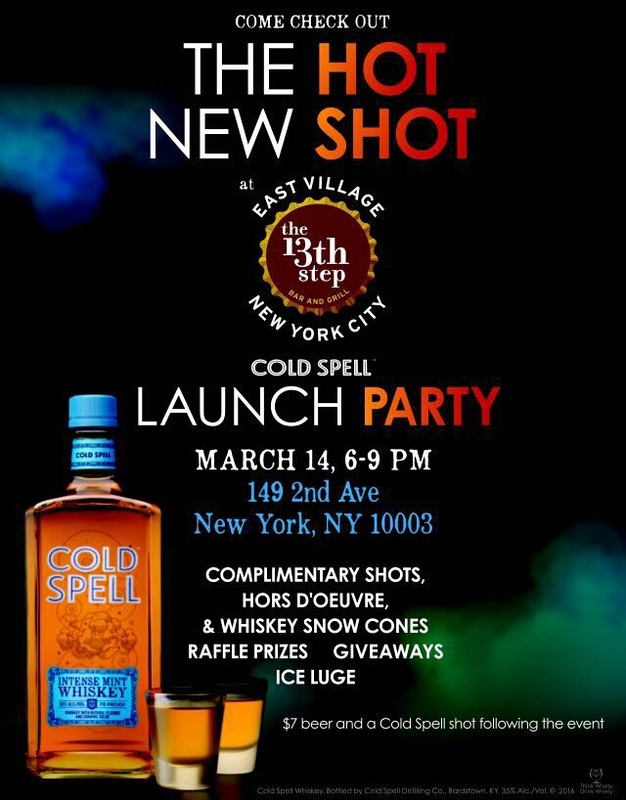 The 13th Step in East Village invite you to come out and celebrate the launch of Cold Spell mint whiskey. No rsvp is needed. Just show up. Tags: free, Free NYC, giveaways, Launch Party, NYC events, Whiskey. Bookmark the permalink.